Pitha is a Bihar/Jharkhand special which used to be prepared occasionally at my home. Last week my mom called me and said that she missing me over dinner as she has prepared Pitha which is one of my favorite, so I promised her that I'll prepare it for myself. This recipe was pending from long time. This weekend while shopping in supermarket I picked pasta packet and next day only I prepared it. Since I forget to pick pasta sauce so I prepared it from fresh tomato. This is my another summer special post. Chocolate Mousse has a rich chocolate flavor and a smooth texture. Its really a great dessert option to beat the heat. As mango season is here and days are getting hotter day by day so thought to make a Ice cream using Mangoes. It is refreshing, rich and creamy in texture which makes it inviting. 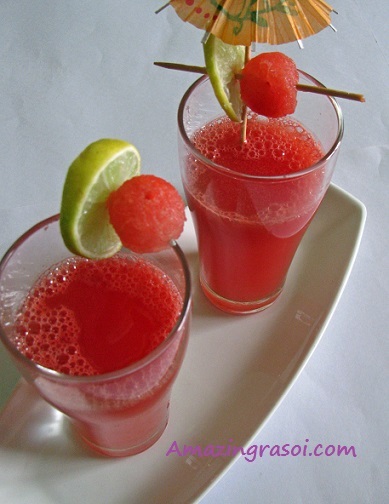 As summer is in full swing so thought to share a Watermelon juice recipe to there is nothing better than juice to beat summer heat. This juice is simple yet tasty even my 2 yr old boy liked it and finished his glass which I never expected from him. 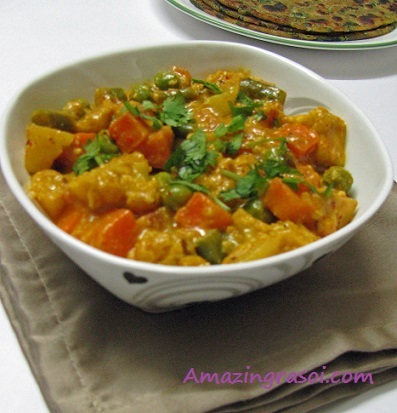 Kadai Vegetable is somewhat similar to mix veg, but rich in texture. Its a new and richer way of preparing mix veg. 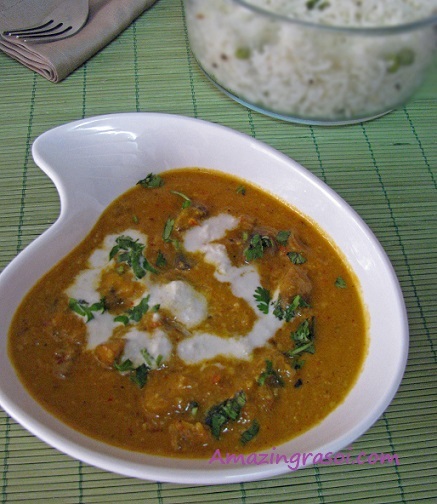 It tastes awesome and its gravy is quite similar to any rich paneer gravy. Wanted to give mushroom a new taste so added mushroom in shahi gravy and gave a mushroom new taste by preparing shahi mushroom. Shahi gravy and mushroom is complementing each other and taste awesome. 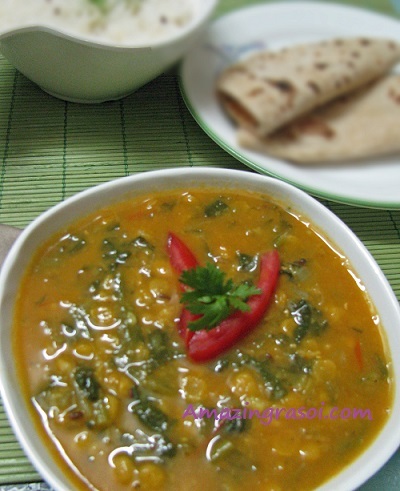 Dal Palak is easy to prepare and goes well with roti or rice. 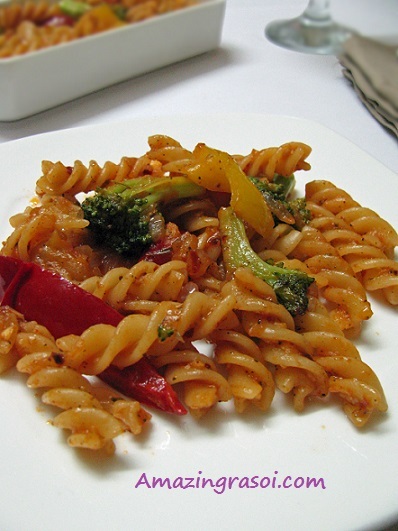 Its healthy recipe and great alternative for kids who don't like green veggies. My boy likes this dal preparation over simple plain dal tadka. 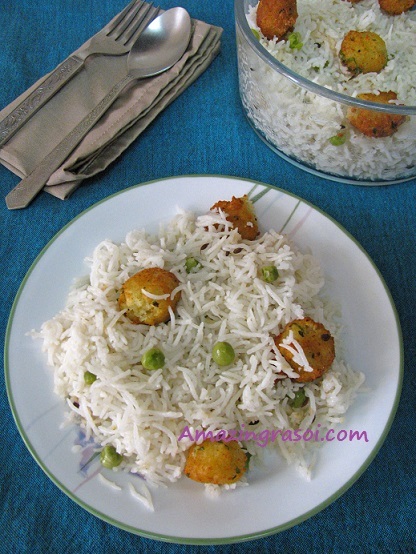 Paneer Ball Pulao is a pulao where grapes size paneer ball is prepared and mix with the pulao. It is very easy to prepare and taste awesome. Can be served with any gravy. The crunchiness of paneer ball makes it very unique and inviting.